Welcome to day 3 of the Jaded Blossom September release! This is so spooky cute! 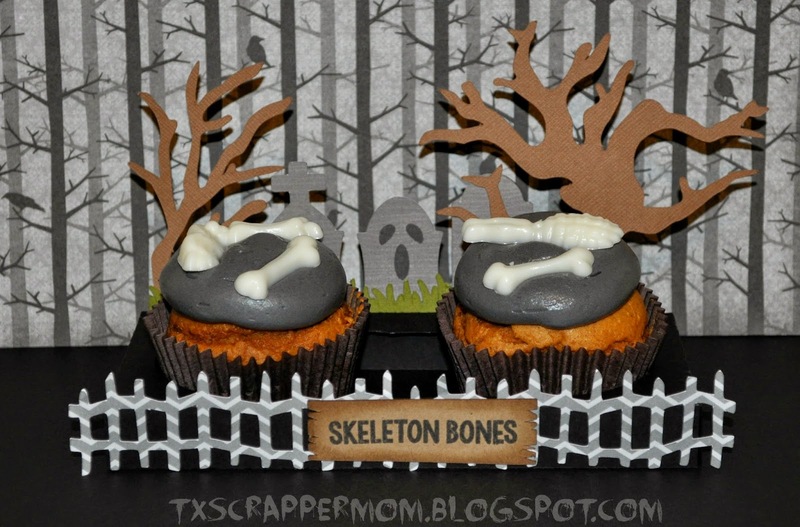 I LOVE that sign on the fence and those yummy looking cupcakes! Great spooky scene. The face on the tombstone is the perfect touch. spooky cute !!! and yummy cupcakes !!! Love the graveyard. I love your cupcakes. Love this scene and the cupcakes looks so good too.